Radon (Rn). Diagram of the nuclear composition and electron configuration of an atom of radon-222 (atomic number: 86), the most stable isotope of this element. The nucleus consists of 86 protons (red) and 136 neutrons (blue). 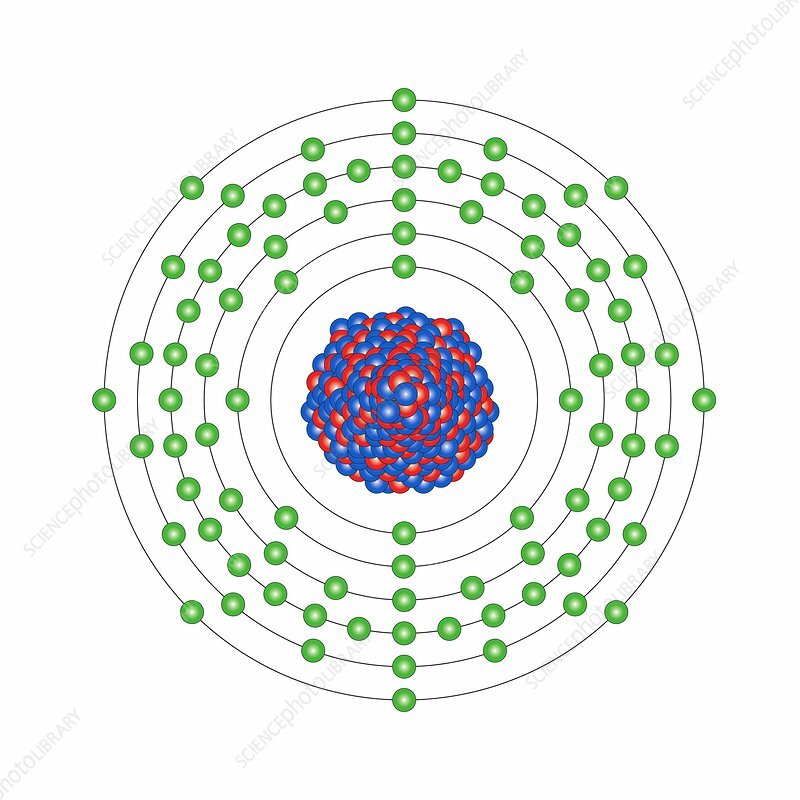 Radon is a noble gas in group 18, period 6, and the p-block of the periodic table. It is the only known radioactive gas. Radon-222, produced from the decay chain of uranium or thorium ores, has a half-life of just under 4 days, emitting an alpha particle from its unstable nucleus to form polonium-218.